Few advisors appeal a FINRA promissory-note ruling because the odds of winning are slim; however, Laurie Facsinas case is different from most. FINRA headquarters in New York. Never did Laurie Facsina expect, no doubt, to spend the last seven years locked in legal battle with the wirehouse she so enthusiastically joined in 2009 as a financial advisor managing more than $65 million in client assts. But that’s what happened when, within months, the Twinsburg, Ohio, FA sued Morgan Stanley for gender discrimination and a year later, was ordered by the Financial Industry Regulatory Authority to pay the firm $419,000 in a promissory note case. Facsina appealed the arbitration award in district court but lost. Now the FA has taken her appeal all the way to the U.S. Court of Appeals for the 6th Circuit in Cincinnati, Ohio. Few advisors appeal a FINRA intra-industry promissory-note ruling because the odds of winning are slim to none. However, Facsina’s case is different from most: She’d been hired as an experienced FA; but 30 days later, she was demoted to trainee status. A forgivable loan of $280,000 was what she received in settlement of her discrimination suit. 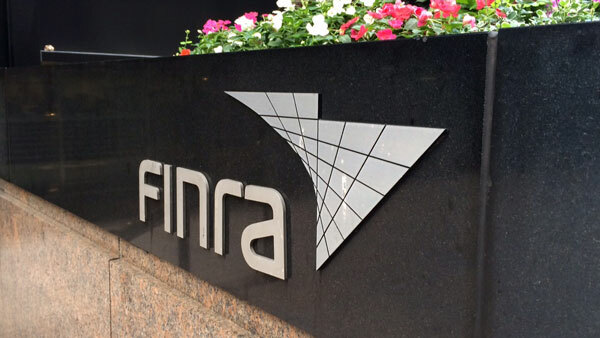 According to public records, Facsina alleges that Morgan Stanley’s FINRA arbitration claim was “to punish her for making known the rampant gender discrimination that was endemic at [Morgan Stanley Smith Barney].” She is asking the federal court to reverse FINRA’s ruling and the district court judgment. Facsina declined to comment for this article because her settlement agreement with Morgan Stanley prohibits her from discussing the agreement. FINRA had no comment. Moreover, Facsina’s settlement states that unless approved by all parties, no portion of the agreement – including the promissory note – is assignable. Facsina never gave consent for the note to be assigned to MSSB FA Notes Holdings. “This is no different from the fraudulent mortgage foreclosures of JPMorgan, Citibank and Bank of America when they foreclosed on mortgage notes they didn’t own,” says Mark D. Mensack, an ex-Morgan Stanley advisor whose firm, Prudent Champion Inc., offers independent fiduciary consulting, especially to Morgan FAs caught up in FINRA arbitrations. He provided such services to Facsina following the FINRA panel’s decision. Meantime, Facsina is awaiting the decision of three judges who will rule on her appeal. “She has an uphill battle,” says securities attorney Shirley Hayton, partner with Gartenberg Gelfand Hayton, in Los Angeles. Hayton won a 2013 arbitration in which Edward Jones sued advisor John Lindsey for $5 million. FINRA dismissed the case. “[Facsina] has a FINRA ruling against her, and a district court has affirmed that ruling. The federal appeals court would [likely] give deference to the finding of the district court,” Hayton says. According to Mensack’s research of promissory note cases from June 2009 through August 2015 — as shown on FINRA Arbitration Awards Online — of 382 Morgan cases against advisors, the firm won 330 of them and the advisors won only 12. Of these, more than 160 were cases in which MSSB FA Notes Holdings, not Morgan Stanley, the broker-dealer, owned the notes. “I believe that Laurie’s is the only [MS] Notes case that has gone to federal court. But it appears that [hundreds of] advisors have been victims of this fraud where Morgan Stanley weaseled the cases into FINRA arbitration,” says Mensack, formerly a U.S. Army officer and later an ethics professor at the U.S. Military Academy at West Point, New York. Facsina charges Morgan with “deception” and filing a “fraudulent Statement of Claim” with FINRA. She alleges that the firm “employed sleight-of-hand” in “offload[ing] capital requirements” by transferring its advisor promissory notes to MSSB FA Notes Holdings and accuses Morgan of trying to “rig a claim under FINRA rules by naming the true holder of the promissory note as another claimant … The true holder … has been kept hidden from the brokers and their attorneys for years now,” and this “tactic” has “defeated literally hundreds of brokers,” the filing states. That suit stemmed from the settlement of a big class action – Augst-Johnson vs. Morgan Stanley – in which the firm agreed to recruit more female advisors. Instead, the firm reclassified a number of female FAs as trainees, according to Mensack; and Facsina was one of them. FINRA’s BrokerCheck database indicates that she began her career as a registered broker at Merrill Lynch in 1999, joined UBS in 2003 and two years later moved to Associated Securities Corp. as an independent FA. She joined Morgan in 2009. The following year, after she’d handed in her resignation, she went indie again, this time with LPL Financial as her BD. The public documents state that as a result of fighting Morgan for several years now, her life “has been ruined personally, professionally and financially.” The battle has caused Facsina to “bleed to death financially”; and she is almost certainly facing bankruptcy, could have her license suspended and is dealing with the near-collapse of her marriage. When the panel found in favor of Morgan, Facsina had three options: pay the award, go bankrupt or file a motion to vacate, or annul, the ruling. The award included $152,000 in costs and attorneys’ fees. She moved to vacate but lost. “The arbitration process is designed to be final, not to be appealed,” says Alan Wolper, partner with Ulmer & Berne, in Chicago, a law firm that defends BDs, including Morgan Stanley, in arbitrations. Facsina’s counterclaim was breach of contract and unlawful discrimination based on gender. Even after her settlement, Morgan continued to discriminate, Mensack alleges, based on conversations he has held with Facsina. Advisors’ counterclaims often focus on fraudulent inducement in recruiting practices. “I’ve spoken with several [MS] advisors who provided incontrovertible evidence of fraudulent inducement but who still lost,” Mensack says. This was one of Mensack’s chief arguments in his own arbitration concerning the promissory note he signed upon joining Morgan from Janney Montgomery Scott. He was previously with Legg Mason, where in 2002 he paid $71,000 of a client arbitration award; Legg Mason paid the other half. Mensack continues, “I can provide evidence proving that Morgan Stanley witnesses lied under oath and fabricated evidence. But FINRA didn’t care. And I’ve heard from both advisors and plenty of attorneys that represented them that the arbitration panel doesn’t want to rule against Wall Street because they [think] that they won’t be hired again. If they do file against [the large firms], they minimize the award. “The notion that FINRA arbitration has any sort of equal standing with civil court is absurd,” Mensack says. Charging that “FINRA has its own little justice system,” Mensack recalls a House Financial Services Committee staff member telling him: “If we try to go after FINRA, we wouldn’t have the time or money to do anything else. “This means to me that since FINRA is immune from prosecution, it’s just too powerful,” Mensack says.